Alien Bee: Action-Packed Third Trailer For BATTLESHIP Is Freaking Awesome! 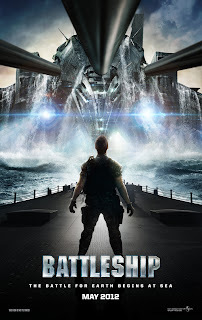 Action-Packed Third Trailer For BATTLESHIP Is Freaking Awesome! People are making fun of the upcoming movie BATTLESHIP but looking at the trailers, especially this awesome third one I think I'll be in line to check the movie out when it releases on May 18th. The big screen flick based on the popular board game stars Taylor Kitsch, Rihanna, Liam Neeson, TaylorKitsch, Alexander Skarsgard, Brooklyn Decker and Asano Tadanobu.